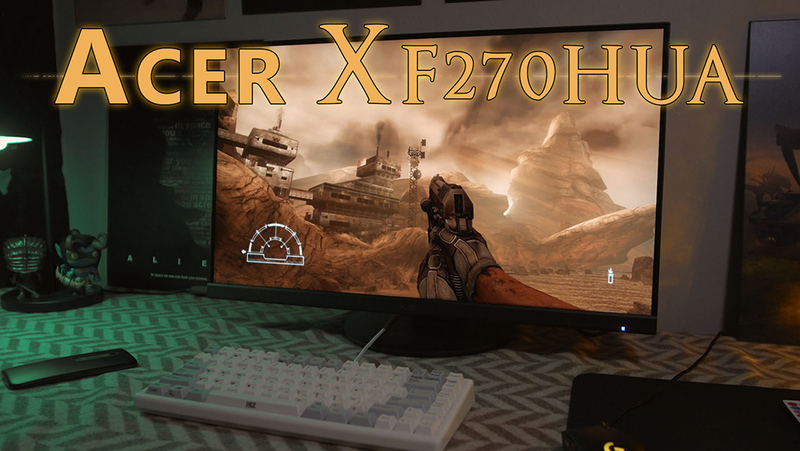 ACER XF270HUA Review: A revision of the ACER XF270HU with a frameless panel design. 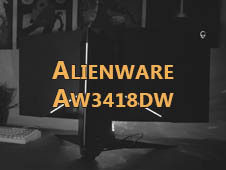 A Gaming Monitor with an excellent price-performance ratio. 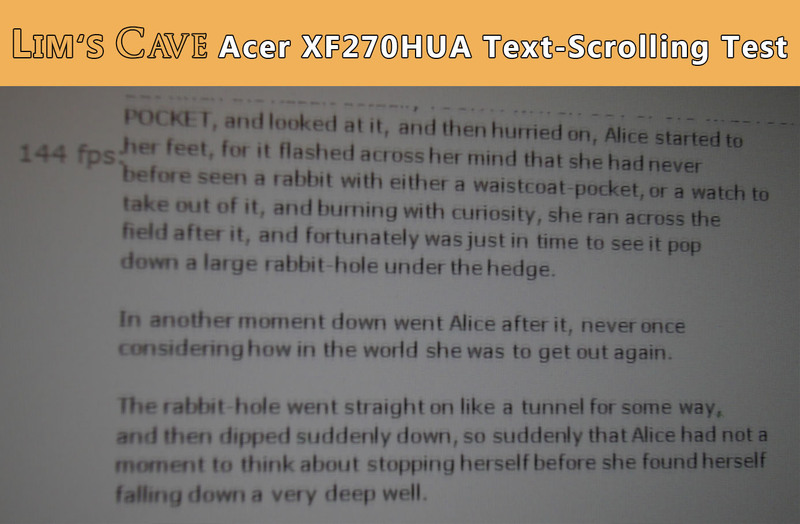 So finally I had my hands on the Acer XF270HUA and I'm very positively surprised. 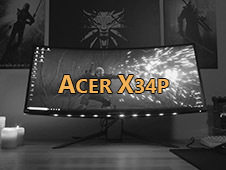 A nice design (in my personal opinion better than Acers G-Sync model XG270HU), awesome colors, Freesync, 144 Hz, WQHD, and even the IPS glow on my unit is very good, even the lower panel frame construction is not perfect for an IPS panel. 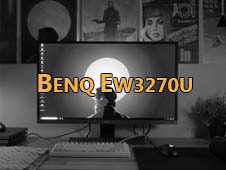 Many people complain about overdrive settings while using Freesync, so, does it really not work? Yup, they are right, but...! The Acer XF270HUA has 3 overdrive settings: Off, Normal, Extreme, and while you have connected an AMD graphics card, you cannot set to "Off" or "Extreme". 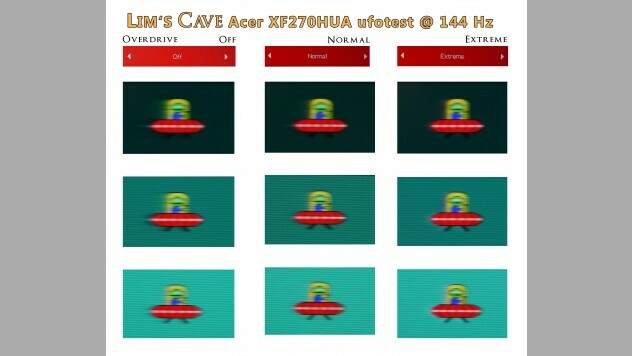 This, however, isn't that important since "Normal" already is the best way to go since "Extreme" can cause some artifacts (as same as in the ufotest from blurbusters.com). Everything, else as always, you can find in the YouTube Review. IMPORTANT(!) 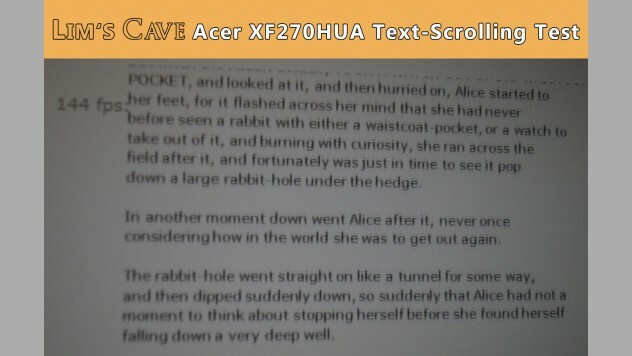 Updates and new information about the Acer XF270HUA can be found at the bottom of the article or in the table of contents (if available). Also available within the forum (click here). A really novice question but what has a better overall picture between this and the Samsung CHG70? 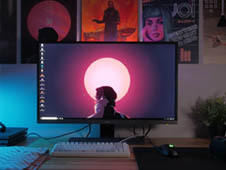 Both are very different monitors and it depends on the content and other factors like your environment (pitch black room or a brighter environment etc). The Acer has a better color stability and no color shift issues while the Samsung has. 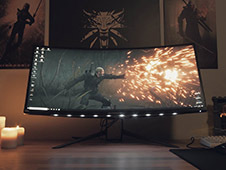 In dark image content (Sci-Fi or Horror titles or even darker areas in games like Witcher 3 in a cave for example) the Samsung usually wins because of the contrast ratio. 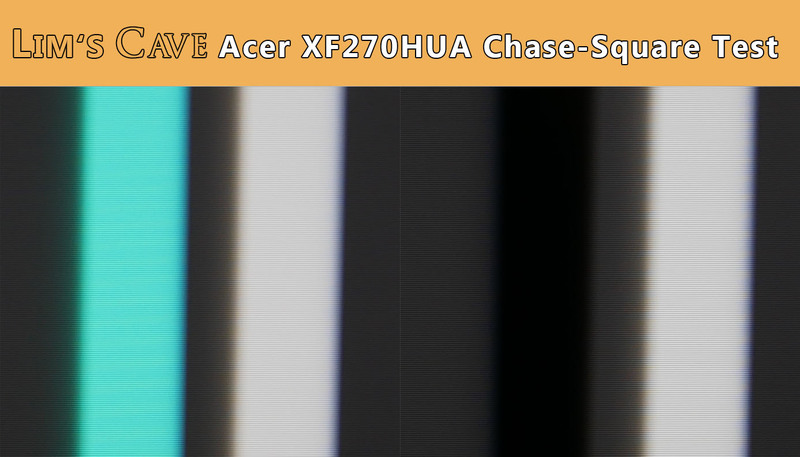 The farther away you sit from the CHG70 away, the better the overall image quality and less VA glow. 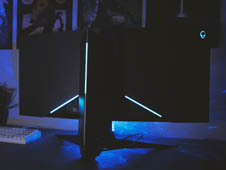 Same applies to the Acer (fewer IPS glow when increasing the distance to the panel). 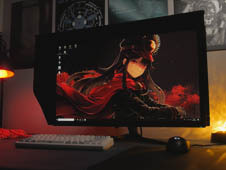 Personally, I still would prefer IPS simply because of the color stability and combined with it the viewing angles, which are usually much harsher than on a TV for example, where a VA panel mostly wins on a TV (also because good TVs have a stronger contrast ratio than current VA monitors). You should check out my IPS vs VA (Viewsonic vs LG) comparison, this maybe can help. Beautiful. In the video the VA looked miles better in the dark to my eye. I might steet toward the Samsung in that regard. I appreciate your input and all the reviews. If you have an Amazon link in your CHG70 video I will be sure to buy it from there. I wrote to you on youtube about the overdrive on displayport, it seems to be working better for me but HDMI 2.0 seems to have no tearing at all. DP can start to have it at the 144hz limit even though I have enhanced sync on in Radeon settings on Fortnite anyway. I'll need to try more games. I'm gonna do some IL2 BOS soon so that will be interesting. 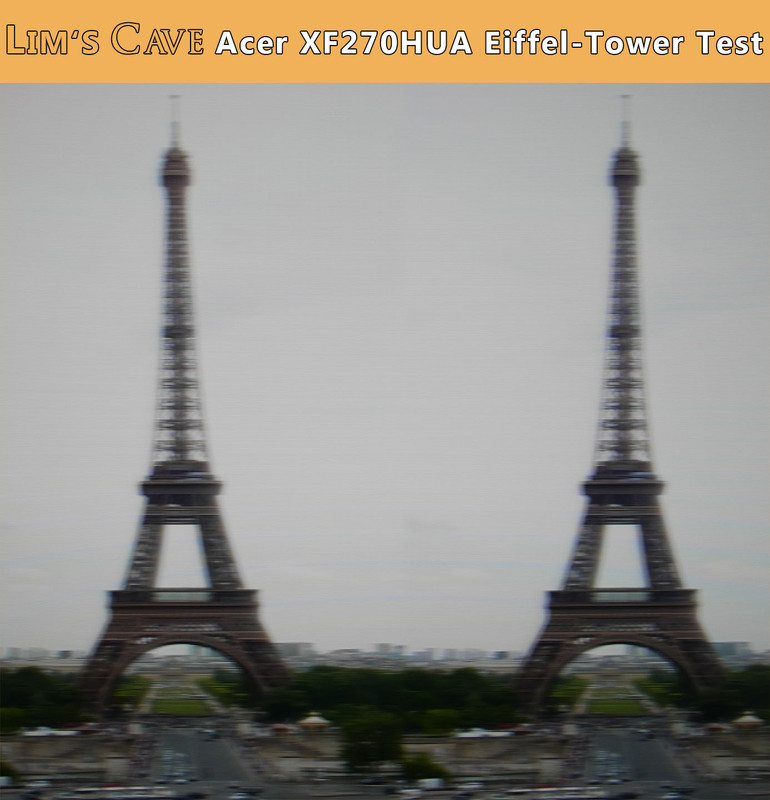 Lim what did you use to calibrate the monitor? Is it just the windows 10 Calibrator? I just noticed on your Youtube video you say there are 2x HDMI 1.4 which I'm afraid isn't the case Lim. There is 1x HDMI 1.4 and 1x HDMI 2.0 with freesync ranges of 40-70hz and 40-144hz respectively. I was using HDMI 2.0 on my Rx vega 64 but been trying DP 1.2a but I think i'll be going back to HDMI 2.0 as it's freesync is smoother. 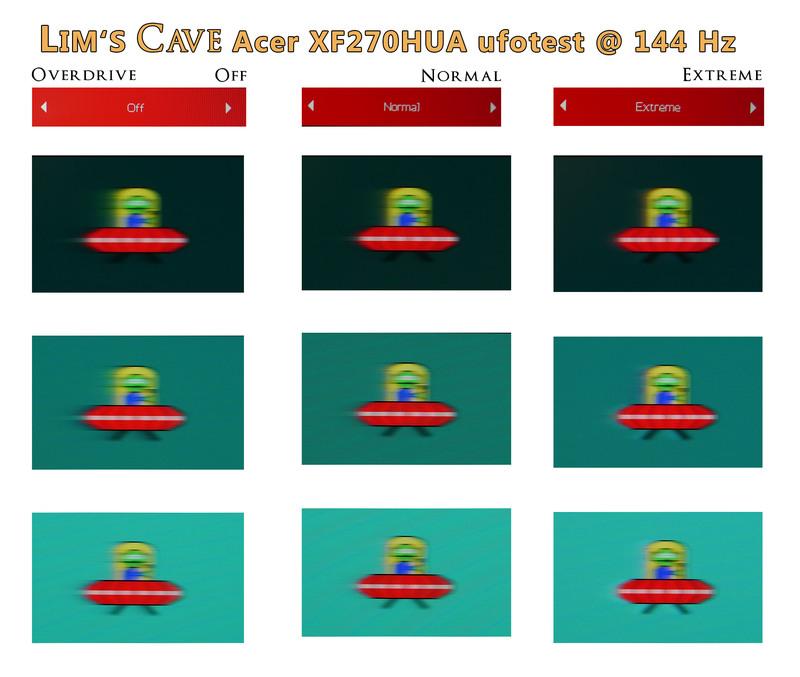 HDMI does give a darker image with the black set to Normal, the other setting is way to dark. So collaboration settings will be different. Hello Lims Cave. What astrix_au was saying to you is true. 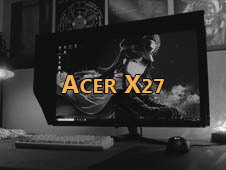 I also have this monitor and when using DP and freesync the ghosting is HORRIBLE. Playing F1 2017 is just...awful. Also even using windows 10 normally like browsing the internet or opening windows and programs feels sooo slow compared to HDMI 2.0. And yes, i can confirm that this monitor has HDMI 2.0 with support for freesync 40-144hz and 2560x1440 resolution. To me HDMI 2.0 is just perfect, whereas DP has some problems with freesync and overdrive. Hope this helps. I just did test DP (no HDMI) and I did not have any Ghosting issues tbh. 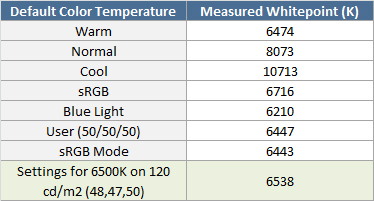 I bought an RX580 just to test Freesync monitors :X But if HDMI works for you without any issues, then it should be still good without suffering from your mentioned issues. Well then...maybe is a problem with VEGA64 because the other people mentioning this issues they also happen to use a VEGA64 GPU. 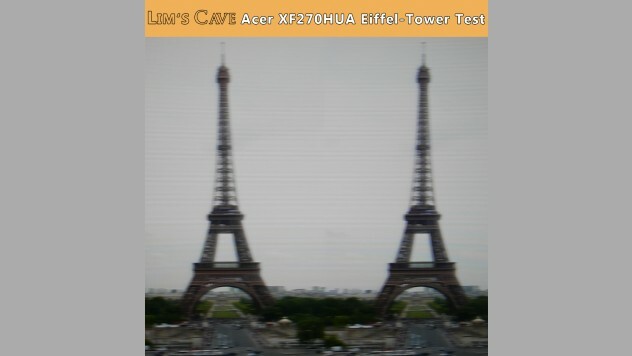 In any case HDMI 2.0 is working fine so far. I understand you're right. But just to let you know now I'm getting a lot of ghosting and horrible gameplay even with HDMI 2.0. I don't know what the H is going on but...is the first time I tried AMD and I have this issues that I never had when I was using NVIDIA. I bought AMD VEGA64 simply because of the freesync capability and now is not working...I think I'm going to sell my VEGA64 and go back to NVIDIA as I never had any issues with NVIDIA, never. Sounds really weird... Just wondering why you have such issues. Did you have also tried some older driver versions? Yes, it is the same just that Freesync doesn't work as great as G-Sync because of variable refresh rates (especially on lower fps it can occur that you also will see some ghosting). Otherwise, on 144Hz it is perfect. I am a regular customer of your shop.